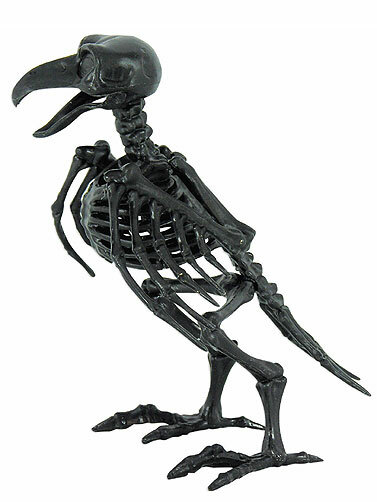 This Black Raven Skeleton decoration looks great sitting on a mantle or when used in a Halloween table display. Black plastic skeleton features bones for the wings and tail, and is free-standing. Head turns and the beak opens, but wings and legs are not jointed. Safe for outdoor displays. Black Raven Skeleton measures 8"H x 4.5"W x 5"L.